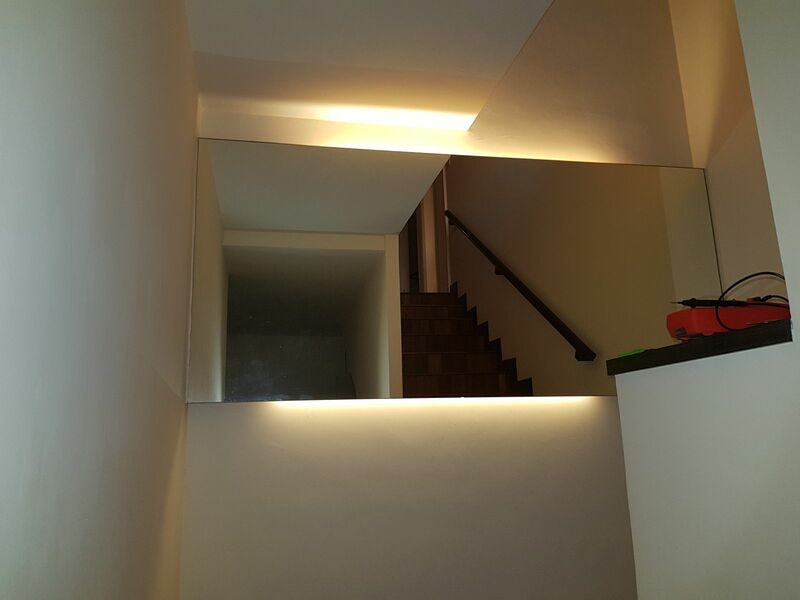 Upgrading Staircase Lights | Life, The Universe and ... Everything! Scroll to the end for latest updates! 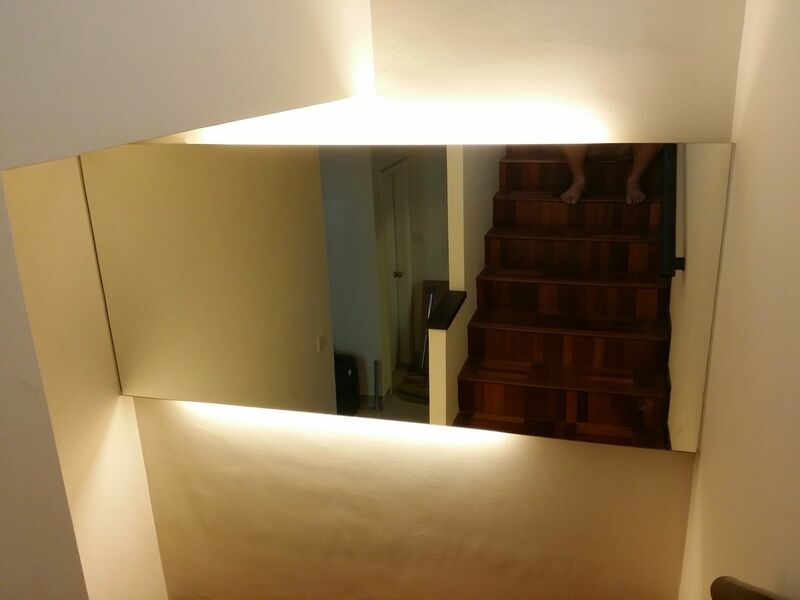 I woke up this morning to find the top side of my staircase mirror unlit. I guess the tube has blown after being on continuously for the last 2 years. Some background ... I have a large mirror next to my staircase. Since this area doesn't get much natural light, I got the renovation contractor to put fluorescent light tubes above and below the mirror. I keep these lights on all the time as I figured the cost of powering it is less than the cost of falling down, breaking my leg, and not being rescued for days. Yes, I know leaving them on all the time is a waste of power but I've fiddled with motion detection switches in the past but found them too finicky. 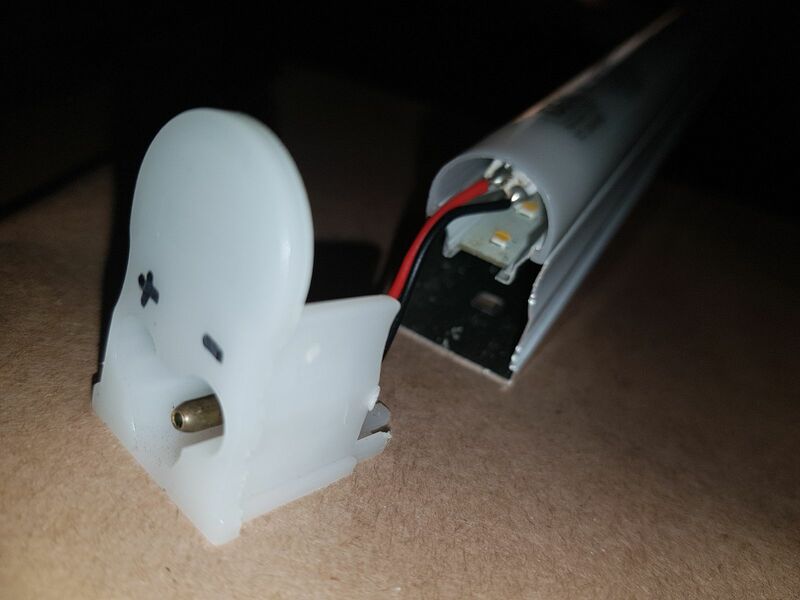 However it would be good to try and save some money so I decided to see if the existing T5 28W fluorescent tube could be changed to an LED one. I googled and found this place http://www.ideal-led.com.my/ just down the road from me, so paid them a visit. They had a T5 4' 18W LED for RM38. 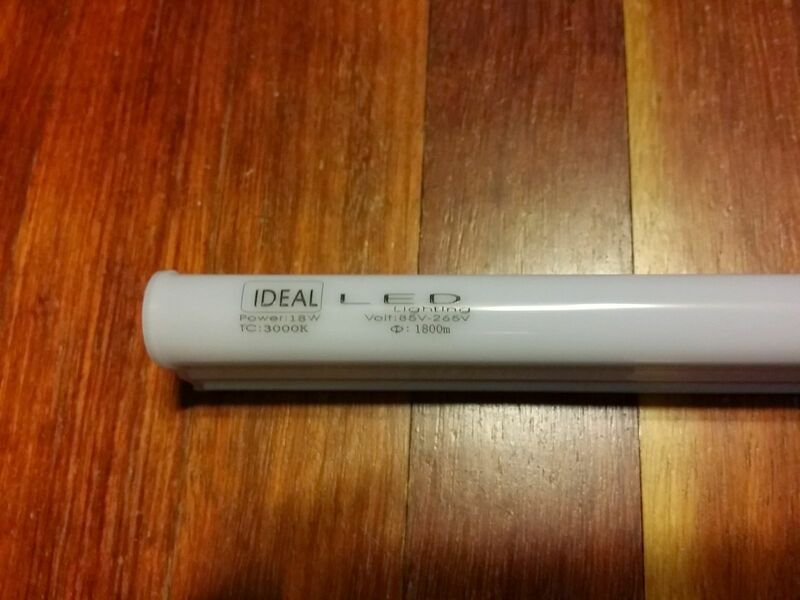 However it's not a tube but replaces the entire fixture i.e. 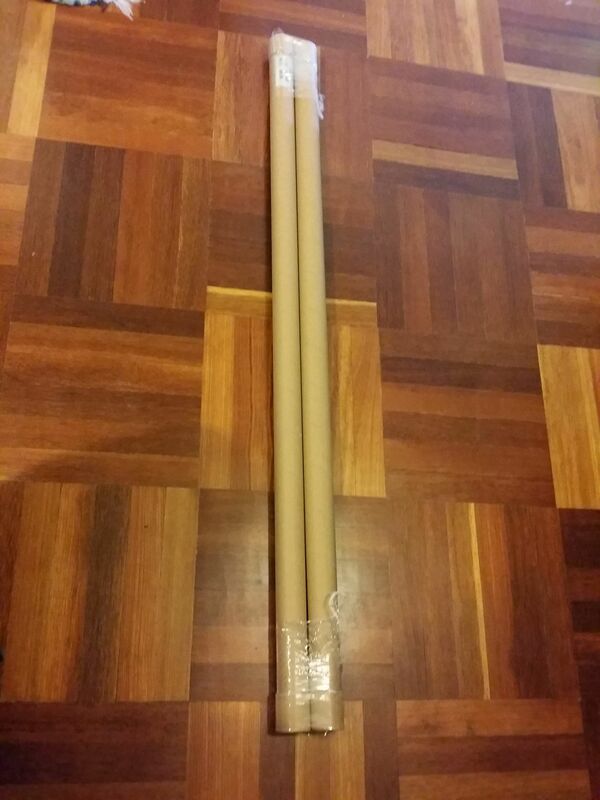 replacing the entire casing + tube. Not sure what exactly is T5 about it then but they claim the casing fits the same clip and socket, so instead of twisting and and pulling out the tube, I just pull out the whole casing and swap this in to the existing clips and power plug. 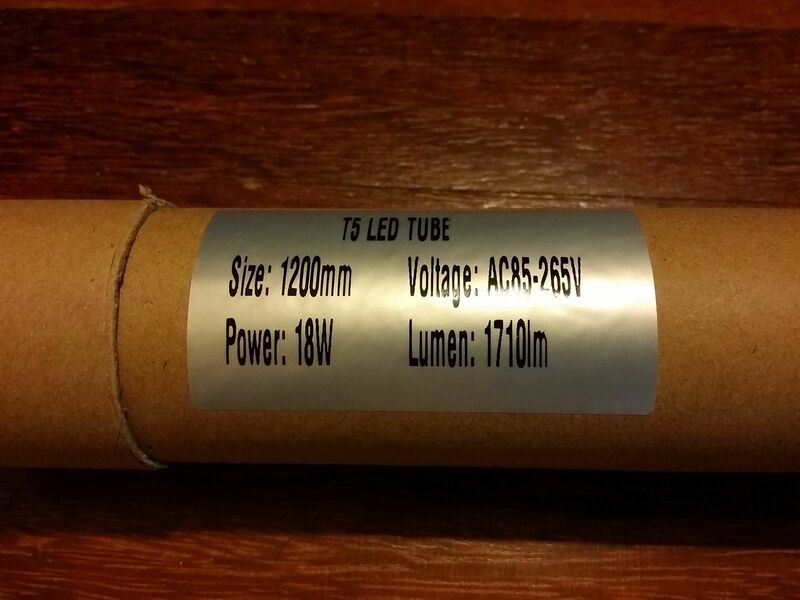 There are proper replacement T5 "tubes" out there in the market but since I was already there, I decided on on this one. I bought two units with the plan to change both the top and bottom lights in case the tone didn't match. 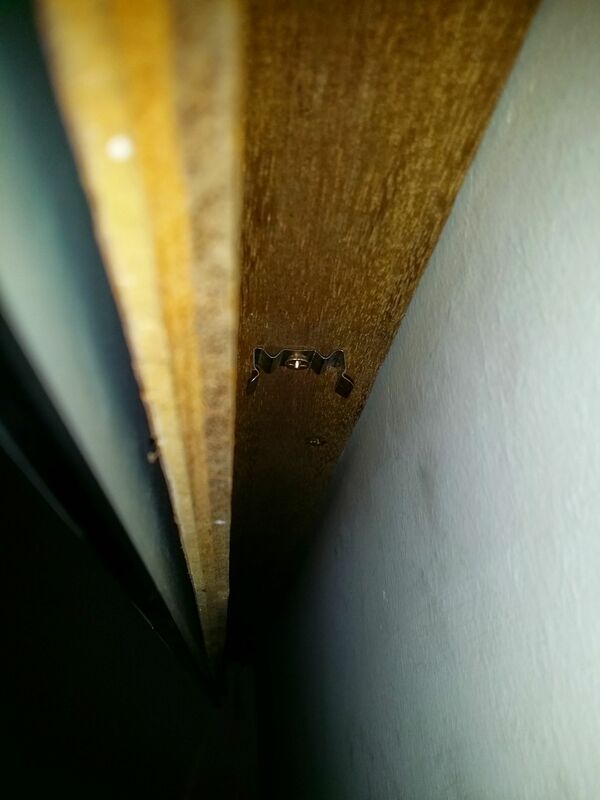 The top one was easy as there was no clip, it was just sitting on the frame panel. 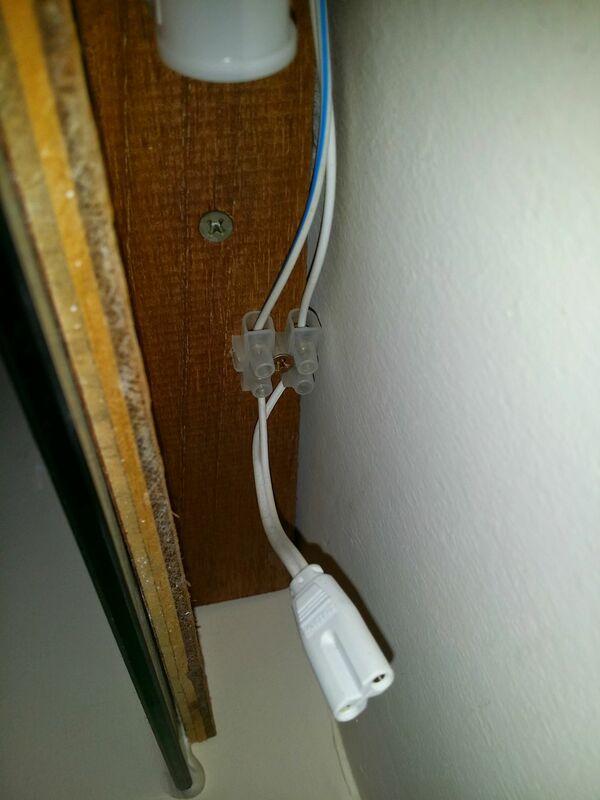 However, it turns out the power socket was different, the new one has 3 pins whereas the old one was 2 pins only. Luckily, they included the power plug as well, so I just replaced my existing wire with that. 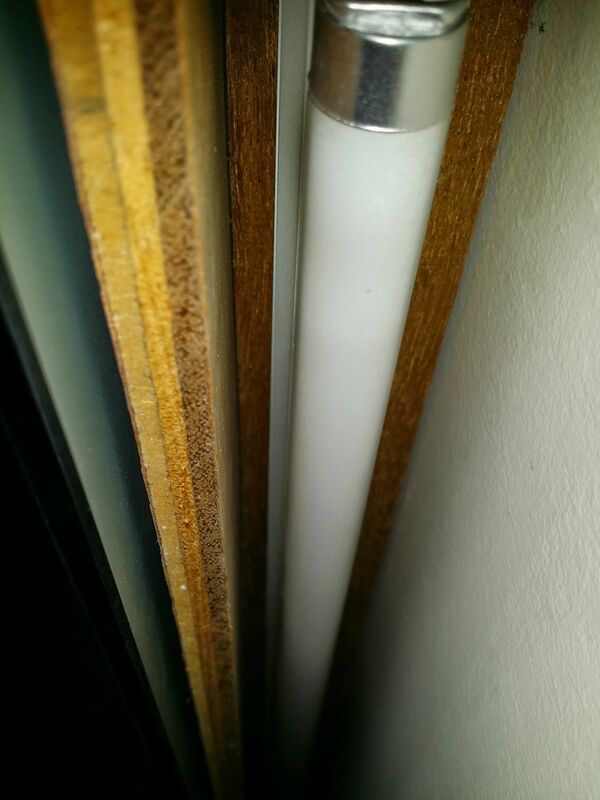 The new LED light is brighter and a slightly whiter tone than the old fluorescent tube, so I changed the bottom tube as well. Had to yank it quite hard to get it out of the clips, but the new one fit into the existing clips perfectly. In hindsight I could have gone for a lower wattage LED but then those are shorter and in my case the length factors in also. There's a 2-year warranty and when it dies, you just replace the whole thing ("casing" and "tube" are one unit on this). Note to my future self: The receipt is at the top of the mirror. It came in these tube containers with removable caps which I'm sure I'll find a use for. Thank you Mr Contractor for not fixing the casing to the top of the mirror frame. Make my life much easier to change it. ... Yes they did, I got the two tubes repaired and they're now working again. btw: The shop has moved to the next block on the same road. I was able to pry the end caps off with a flat-blade screw driver. 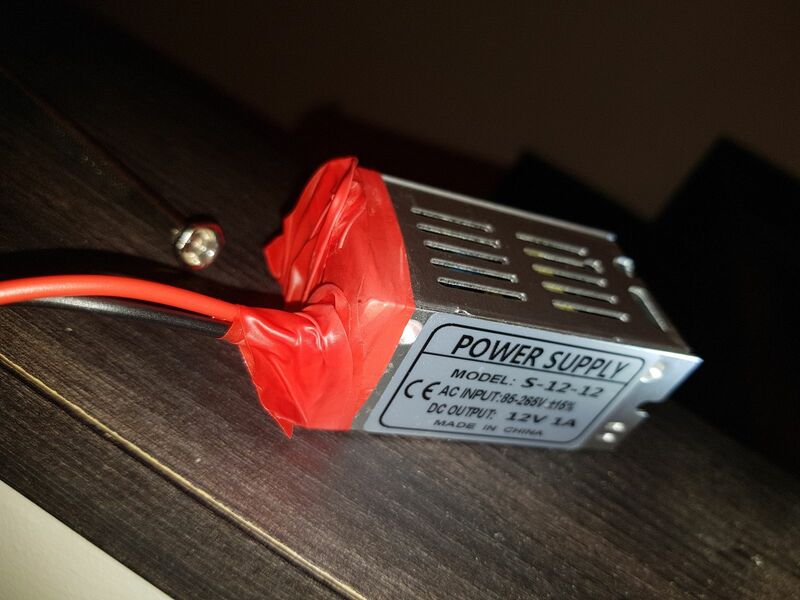 The AC power from the end cap feeds into a Tube-shaped AC-DC converter. 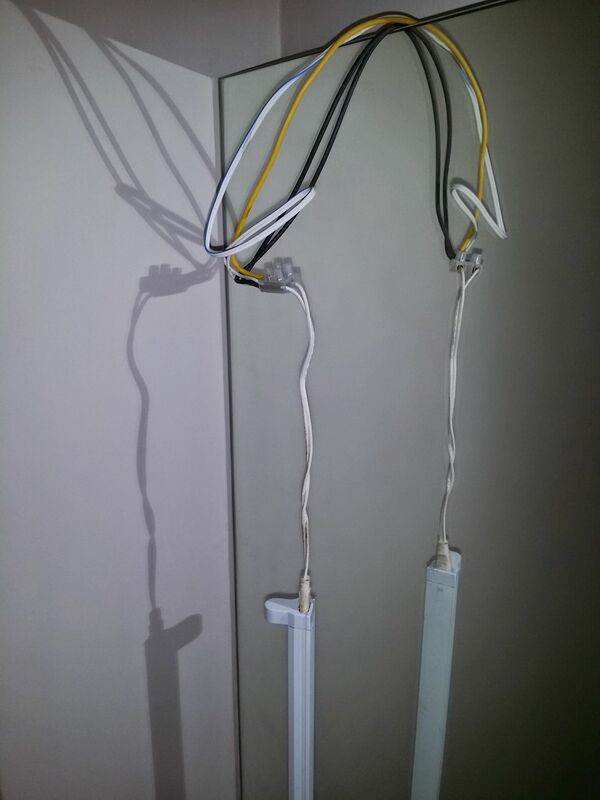 A long run of wire also carries the AC power to the other end of the tube, where you can use the socket there to daisy-chain a number of tubes together. 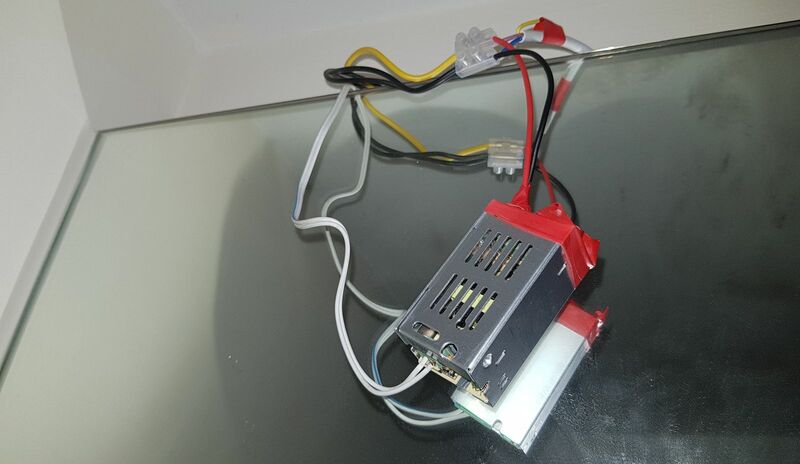 The AC-DC converter feeds current into a long PCB where the LEDs are mounted. The capacitors weren't bulging (although must have gotten hot as the casing was brown). The rest of the stuff on the power supply are surface mount components. How it actually works is way beyond my area of knowledge. Even if I was to understand how it work my repair skills would not likely result in something that would last another 2 years. I would like to re-use the LCDs on the PCB but without a current limiting power supply, it doesn't look possible. All my power supplies are just regular AC-DC supplies. 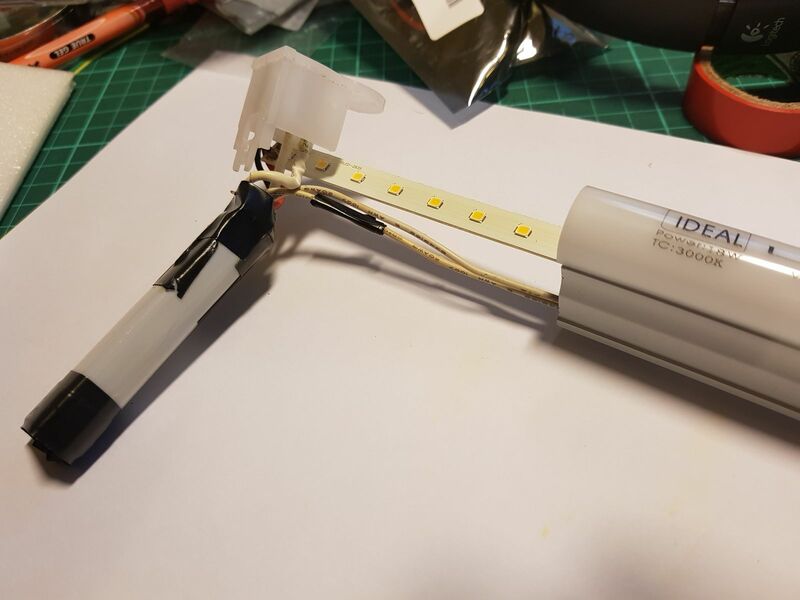 I figured an easy modular fix would be to just junk the power supply and stick a flexi-strip of LEDs (with current limiting resistors) over the existing ones ... using the existing casing to mount the unit and also to diffuse the light. I'm not a fan of this kind of design as the AC terminals are slightly exposed. 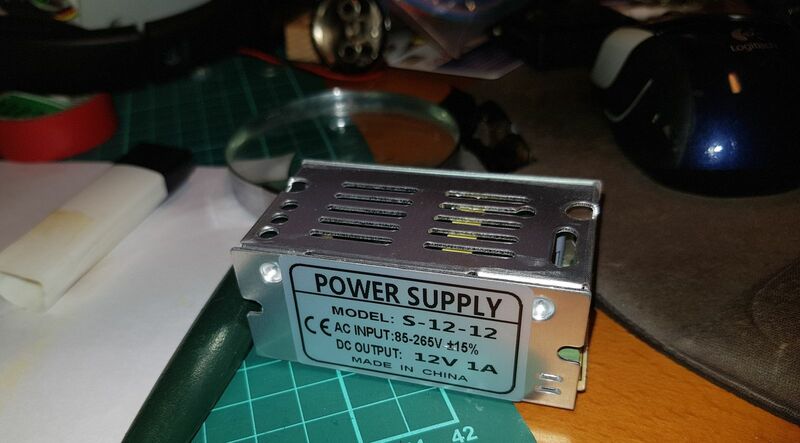 I might replace it with one with a a better design and a slightly larger capacity unit (1.2 or 1.5A) so I can power two tubes with some headroom in the future. But it will do for now. 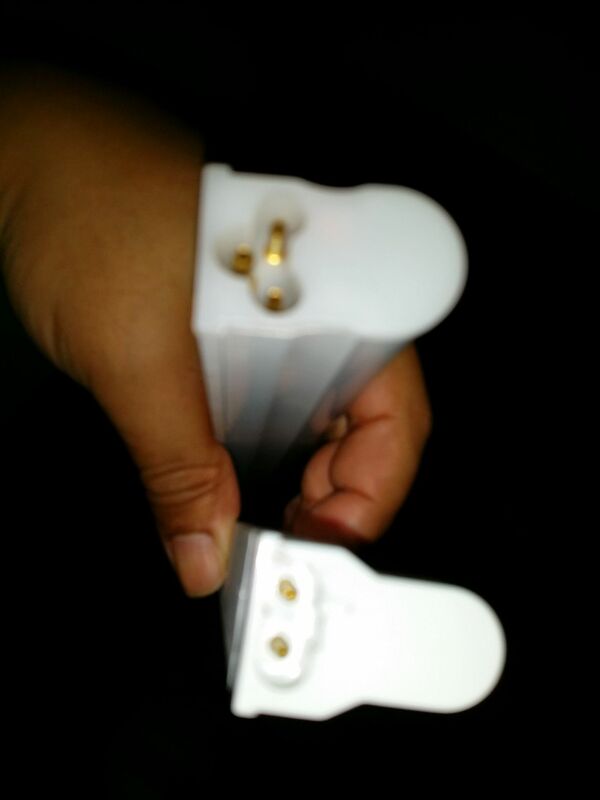 I compared the old and new LEDs .. .the one on my flexi-strip are spaced slight further apart -- for every 5 of the old ones, there are only 4 on the new strip. Which means the new light be only 80% as bright ... which I am fine with. I stuck the flexi-strip of LED onto the old LED PCB (over the existing LEDs), adding a bit of super glue at regular intervals. 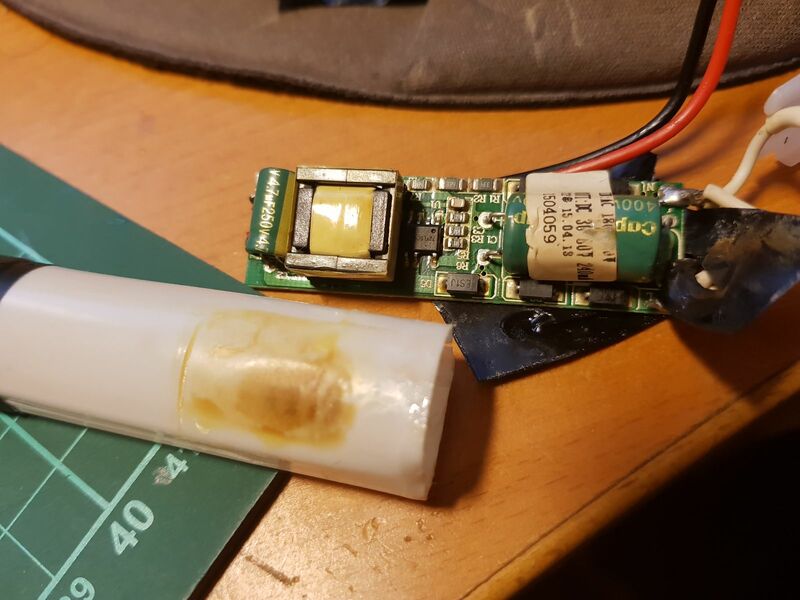 Next the PCB Board was replaced into the tube and wires were soldered in to connect the socket to the LED strip. 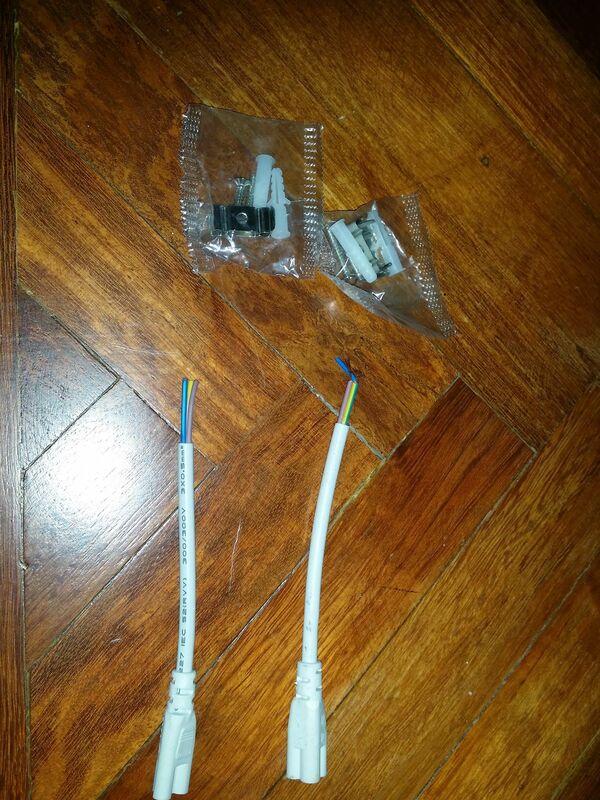 I cut a short length of AC cable and screwed them into the terminals on the power supply. I then wrapped the whole thing in electrical tape. Then incoming AC supply wires are split to power the existing (still working) tube above the mirror, and also to power the new power supply. I connected the wires that lead to the lower tube to the DC output of the power supply.